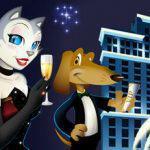 CoolCat’s July Monthly Promotions: Star Spangled Bonuses! Happy Birthday to the USA! Now that this lush and lovely lady is 237 years old, we at Cool Cat Casino decided to offer all of our members a gift in honor of Lady Liberty and her partner Uncle Sam. Let the fireworks explode into brilliant colors, let the patriotic music blast, let Old Glory wave in peace and prosperity, and let the BBQs and brewskies fill your bellies! 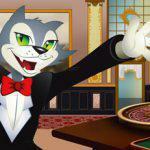 Cool Cat Casino is more than proud to offer our regular members these awesome July bonuses! 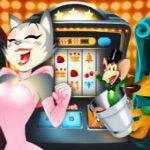 Dip your stove pipe hats and feathered caps and earn yourself a 300% bonus on all Cool Cat Casino keno and slots games. To get your freedom loving hands on this bonus, you need only deposit at least $50 and enter the code: USA300. Bonus on the bonus…NO RULES! Our second monthly bonus is a respectable 200% bonus on all allowed games. That means that you need only deposit $50 or more, enter the code: USA200, and play your favorite online casino games until the morning sun rises over the horizon (or longer if you’ve had enough Red Bull). Just for our members, this month’s special bonus offer is a radical raffle. 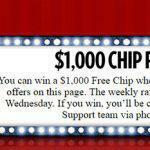 To enter the raffle for your chance to win a free $1,000 casino chip, all you have to do is redeem one of our July promo bonus codes. Didn’t win yet? Well, you’ll get your chance. There are two new winners every Wednesday! What would our country be without the love and affection of good old Uncle Sam and his favored CoolCat Casino VIP members? This month, our VIP members can take advantage of our special 340% bonus on all slots and keno games. This NO RULES bonus is yours for a $50 deposit and the bonus code: USAVIP340. 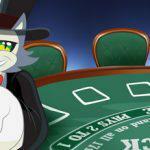 Our last, but never lacking 230% July VIP bonus is good for redemption on all allowed Cool Cat Casino online table or slot games. All you have to do to grab this bodacious bonus is to deposit $50 or more, and enter the bonus code: USAVIP230. In honor of our incredible country, the men and women who’ve fought to make it free, and the Cool Cat Casino members that make our job so awesome, we are glad to offer you each of these July bonuses with no withdrawal limits. Congratulations on your good fortune! Enjoy!